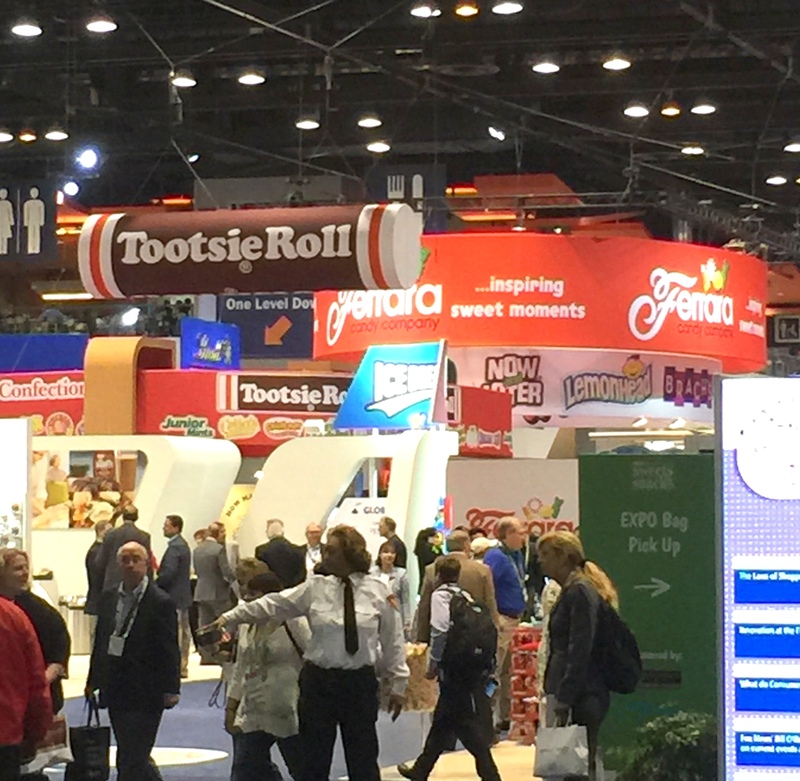 On Tuesday, May 19th, we attended the Sweets & Snacks Expo in Chicago, IL. It was a virtual “Halloween for adults”, and these are some of our favorite things. 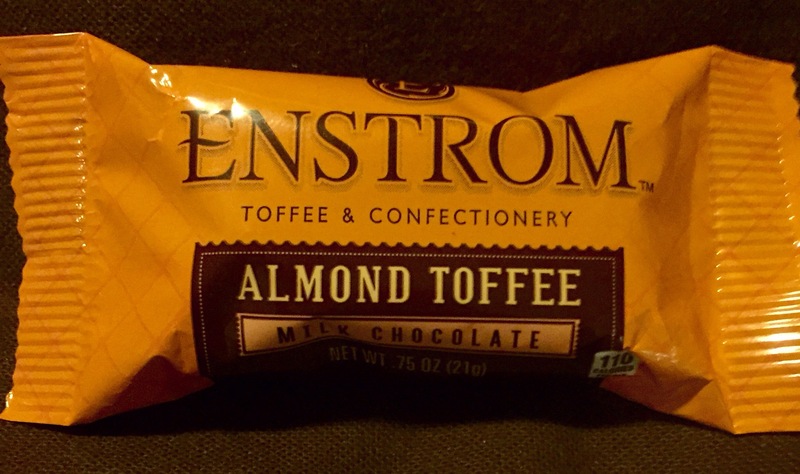 Enstrom Almond Toffee – “Like a Heath bar on crack, but in a good way.” This buttery, rich toffee with almond pieces is slathered in chocolate – like really, really GOOD chocolate. Although not available in local retail stores, you can order it online at Enstrom’s website. 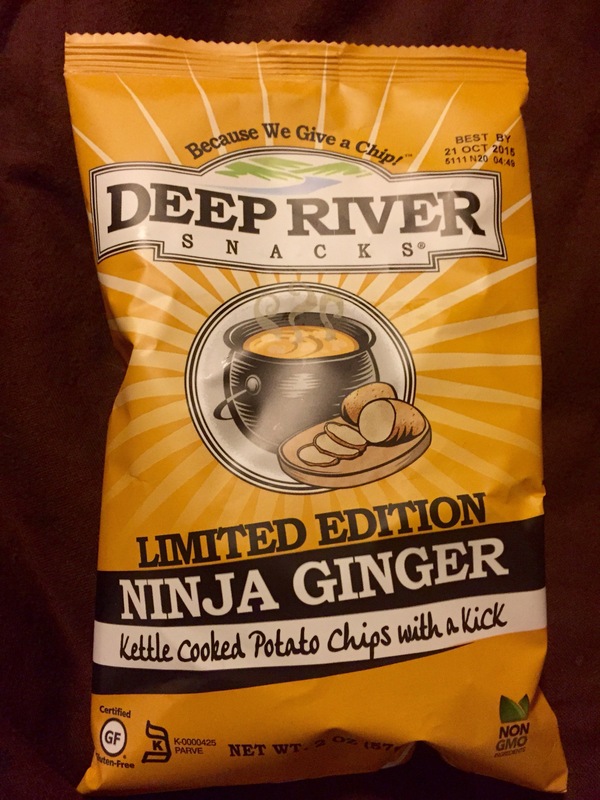 Deep River Chips – Ninja Ginger – Where have these chips been all my life?? Deep River does make several flavors of kettle chips, popcorn and tortilla chips; I was lucky enough to sample this flavor. The Ninja Ginger (say that 5 times fast) is a little sweet, a little savory, a little spicy with ginger, chili pepper and cilantro. These aren’t available locally yet, but can be purchased on their website. Deep River also donates a part of every sale to various charities – another reason I like this company. 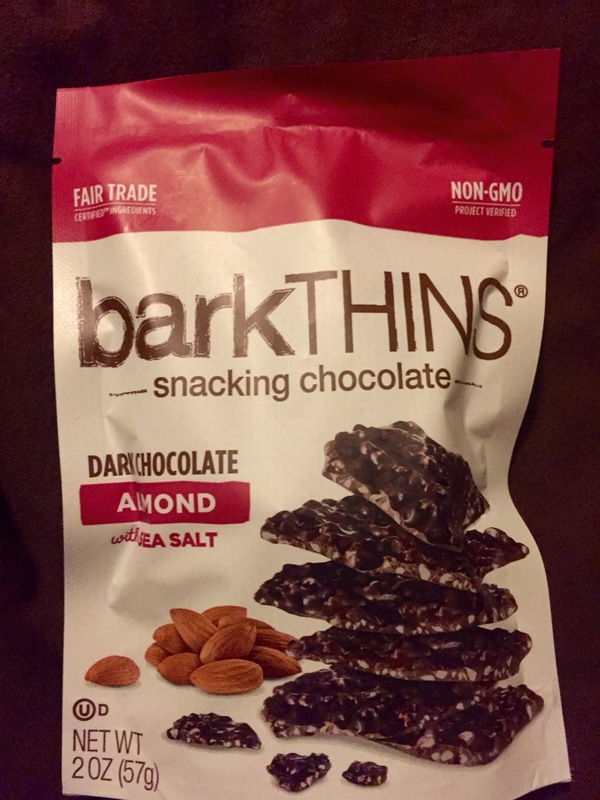 Bark Thins Snacking Chocolate – The name pretty much says it all. Thin, dark chocolate bark with almond pieces, sprinkled with sea salt. Salty and sweet? YES, please! Other varieties available include dark chocolate and pretzel or dark chocolate with toasted coconut and almonds. This is available at Amazon.com, as well as Target and Barnes & Noble stores. 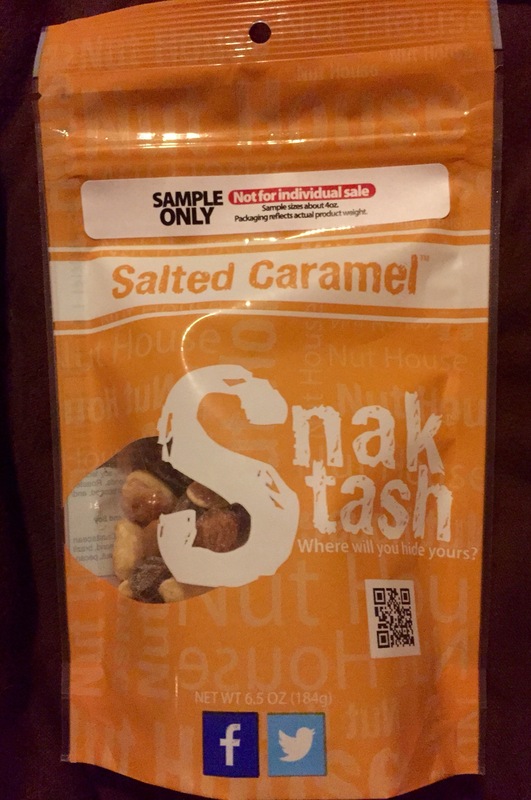 Snak Stash – Salted Caramel – Developed by folks who love snacks (my kind of people)… The Salted Caramel version includes roasted, salted peanuts, chocolate covered salted caramel bites, toffee peanuts, almonds, chocolate covered raisins and cashews. The pouch is also resealable, which I love. There are many different flavor combinations available for sale, but nothing locally. Purchases can be made on their website. 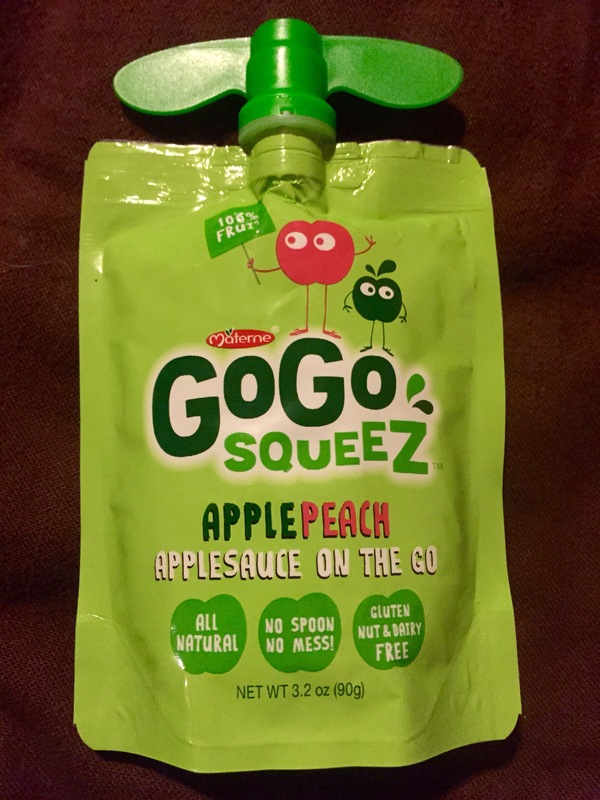 GoGo Squeez – Apple Peach – Initally, I thought “What a great idea for parents with younger kids.” – it’s 100% fruit in a very easy to carry pouch – but in addition to that, this would be great to add to your packs for hiking or long bike rides too. There are 12 flavors of applesauce – apple peach, apple mango, apple berry, etc – as well as fruit/veggie combos like Pedal Pedal Peach (apple, peach, sweet potato). Locally, you can find GoGo Squeez products at CVS, Shopko, Target and Walmart stores. Bauducco Chocolate Wafers – I’ve always been a fan of chocolate and vanilla cream wafer cookies. 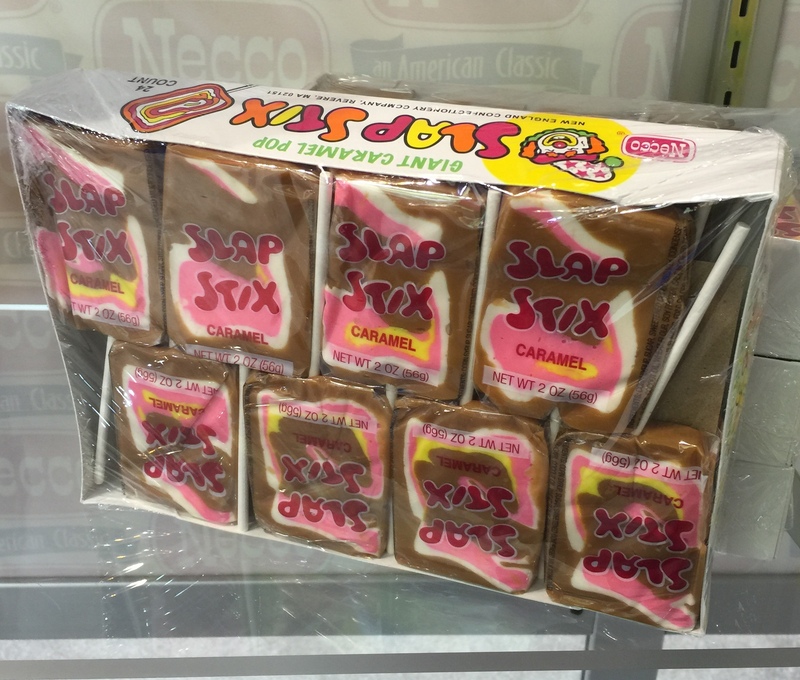 It seemed like my grandma always had them at her house when I would come to visit. Bauducco took the wafer cookie up a notch. The chocolate cream was very nice, but I really liked the wafer as well – it had a nice almond-like flavor to it. A great snack if you’re looking for something chocolatey, but light. Bauducco products can be found locally at Woodman’s, CVS, Target and Walmart stores. 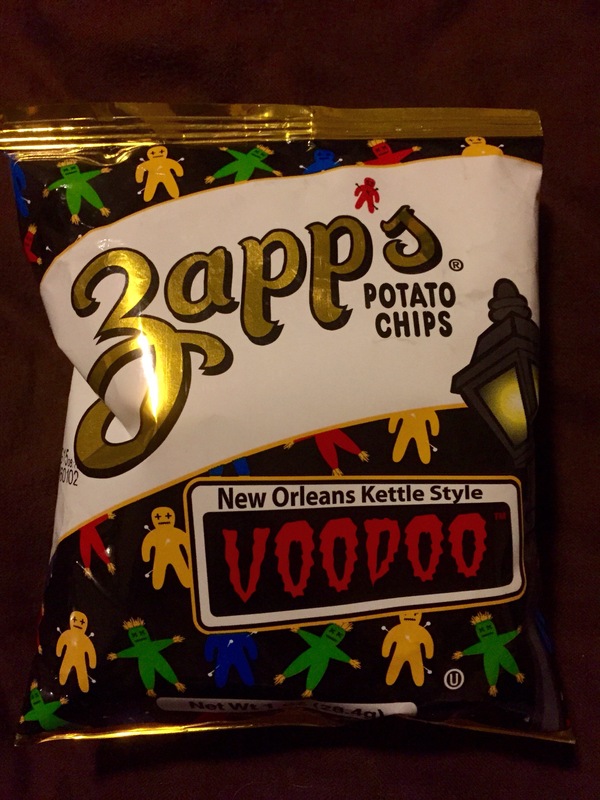 Zapp’s New Orleans Kettle Style Chips – Voodoo – My entire family loved these chips. Thick cut with so many levels of flavor – sweet, smoky barbecue, onion, salt and vinegar. They were delicious. Unfortunately, these are not available locally, but can be purchased on Zapp’s website and Amazon.com. 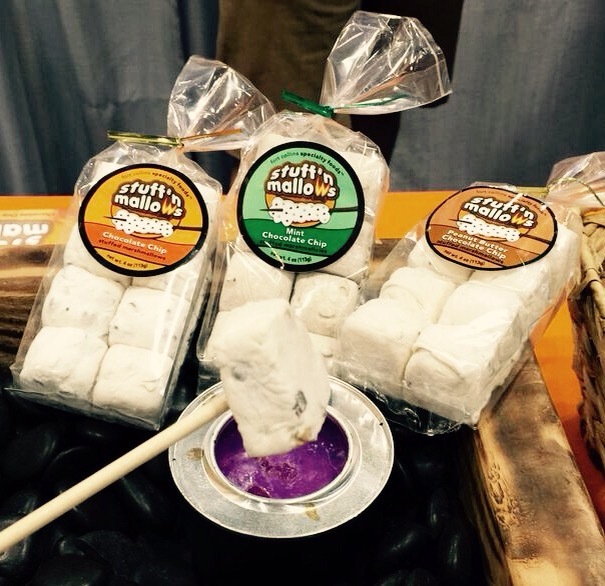 And finally… Stuff’n Mallows – Imagine marshmallows with chocolate already inside! Genius, right? 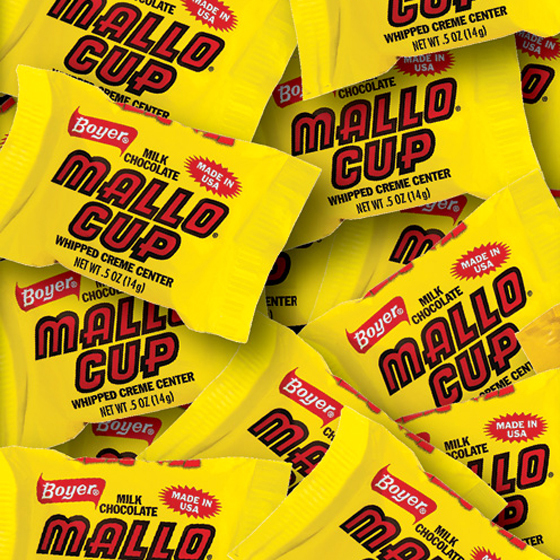 Stuff’n Mallos puts yummy goodness in their mallows which gets ooey-gooey melty as the mallow gets toasted over a fire. Available in chocolate chip, peanut butter chocolate chip and mint chocolate chip, Stuff’n Mallows can be purchased on their website. If you are going camping and want to impress your friends, please order some of these; they are beyond delicious. 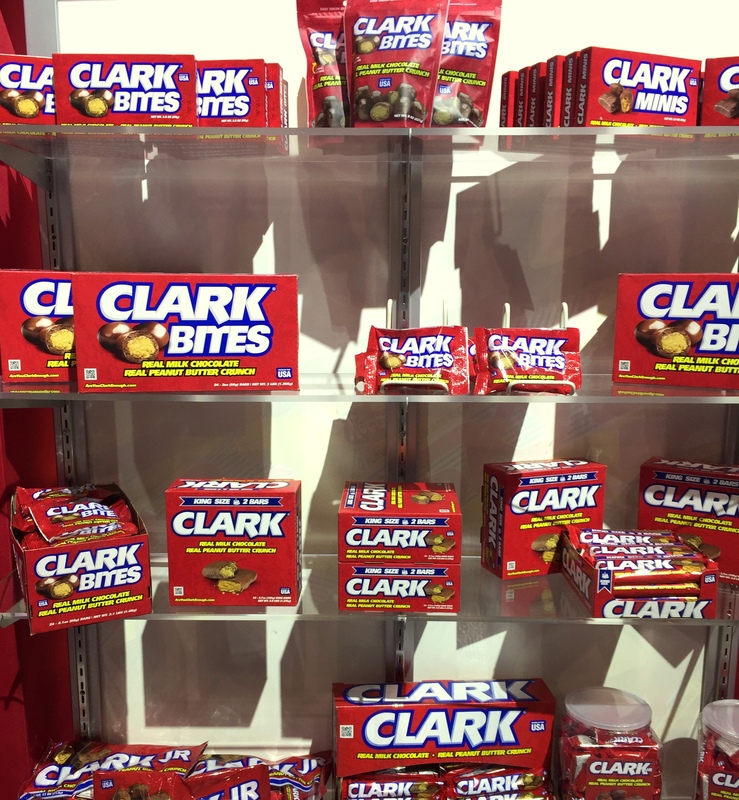 Eariler this week, we went to the Sweets and Snacks Expo at McCormick Place in Chicago. Over 600 manufacturers of candy, chips, jerky, snack bars, pickles, and other snacks set up booths to demonstrate and promote their products with hopes of making sales to the buyers of candy and snacks. 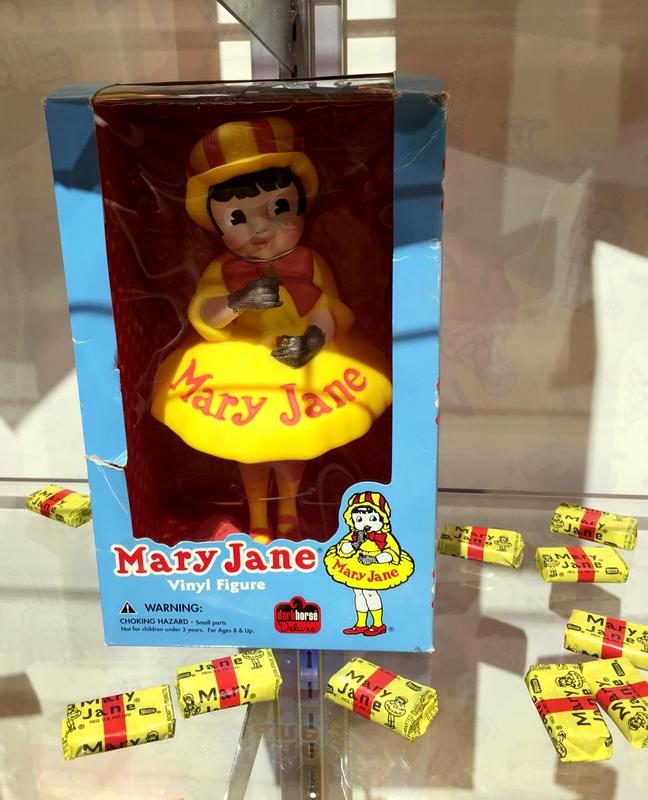 Some of these candies are classics that have been manufactured for decades. Have fun reliving your childhood. 2. 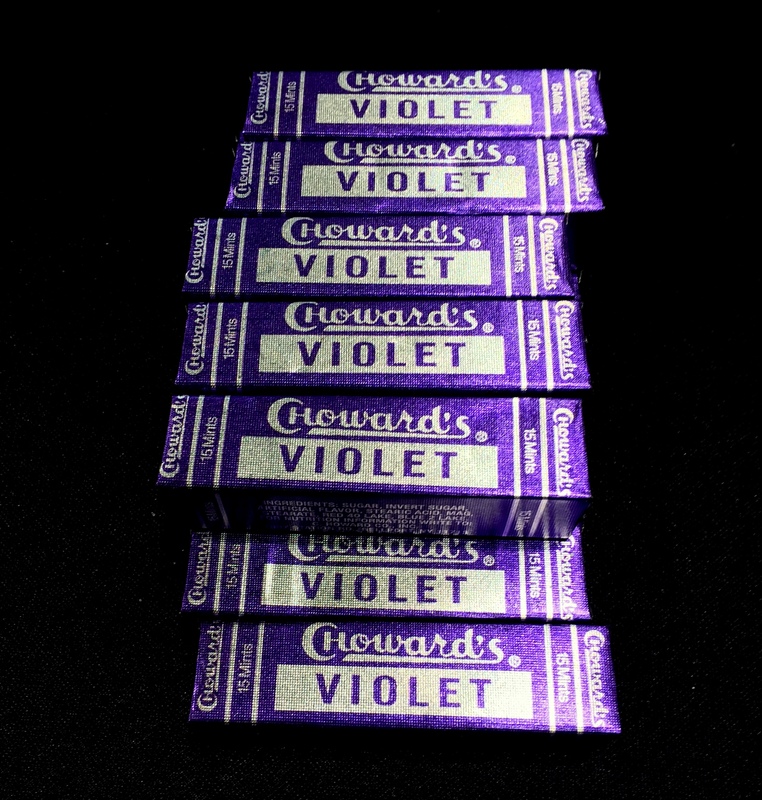 Chuckles – Now made by Ferrara Candy Company, the candy jellies were first introduced in 1921. 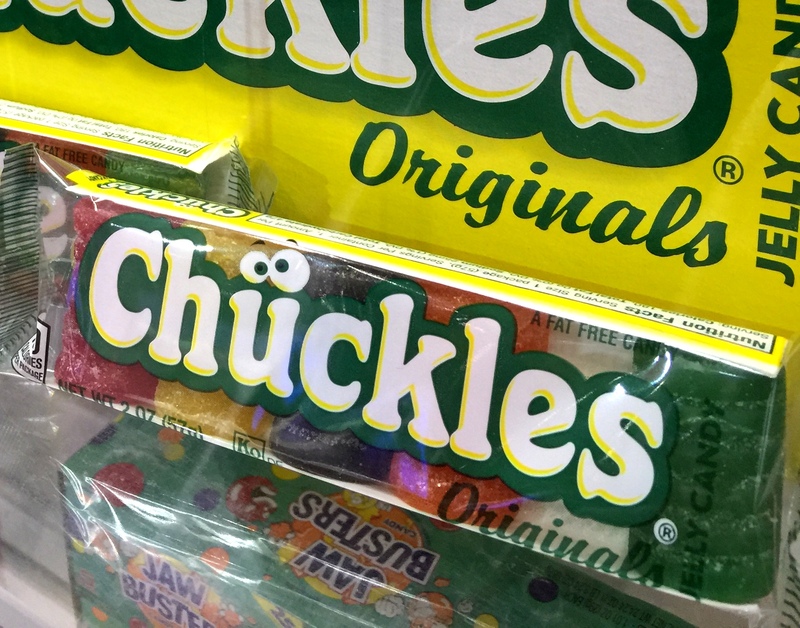 Chuckles are still made in the original flavors of cherry, lemon, lime, orange and licorice. http://www.ferrarausa.com/brands/chuckles/ Who wants my licorice? 4. 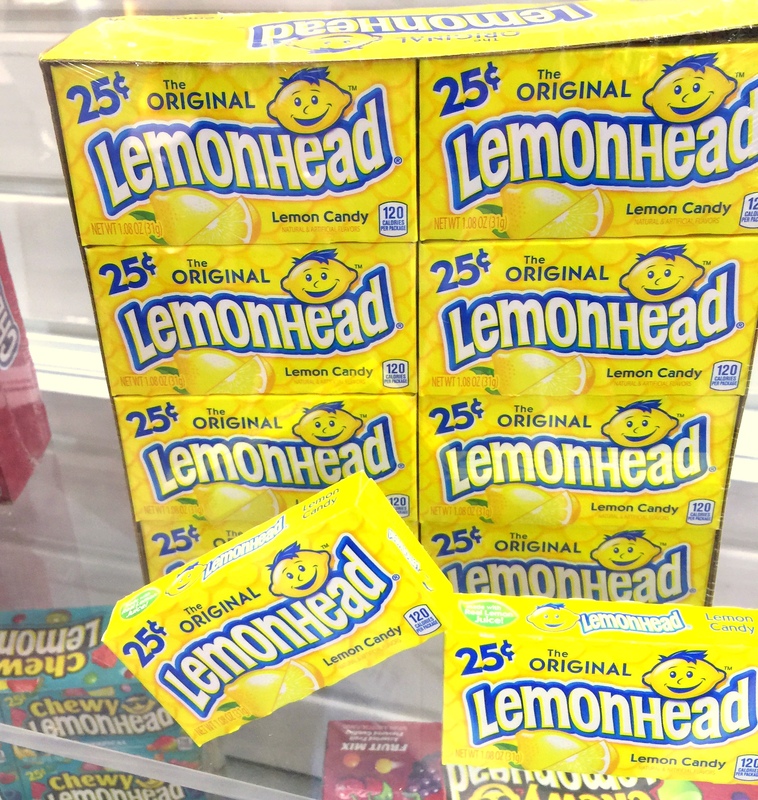 Lemonhead Candy – These sour round lemon candies were introduced in 1962. Lemonheads are made by the Ferrara Candy Company. 7. 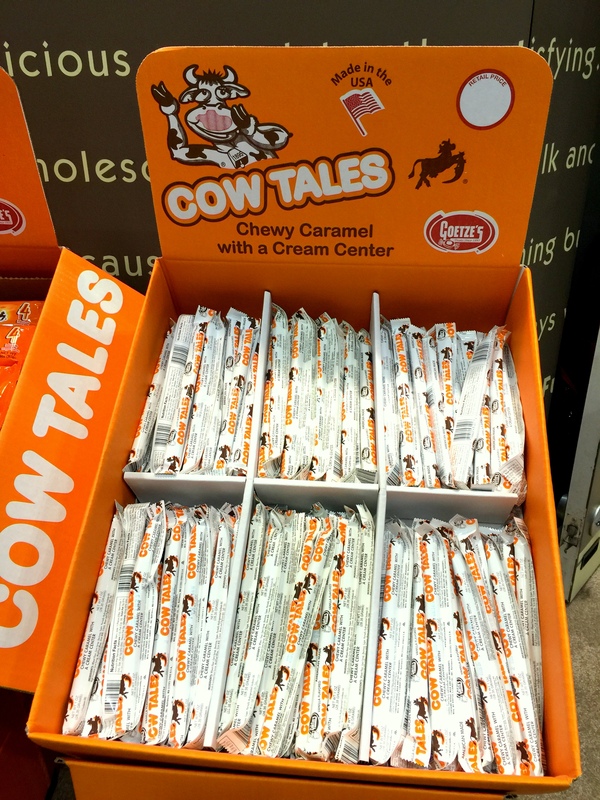 Cow Tales – This elongated caramel cream candy, first manufactured by Goetze Candy Co. in 1984. 10. 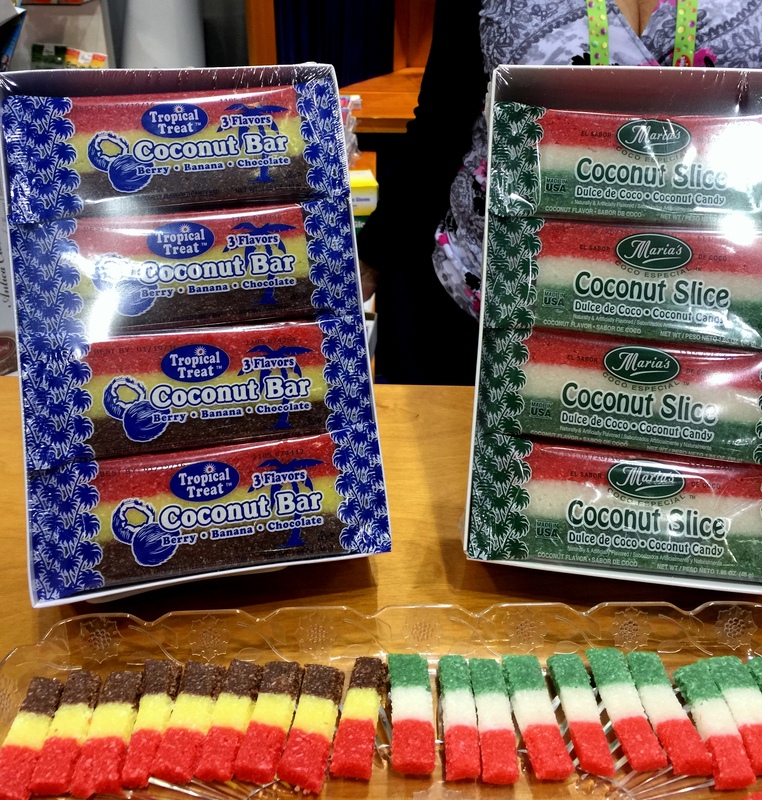 Coconut Bar – these tri-flavored coconut bars made by Friesinger’s Candies are over 100 years old. 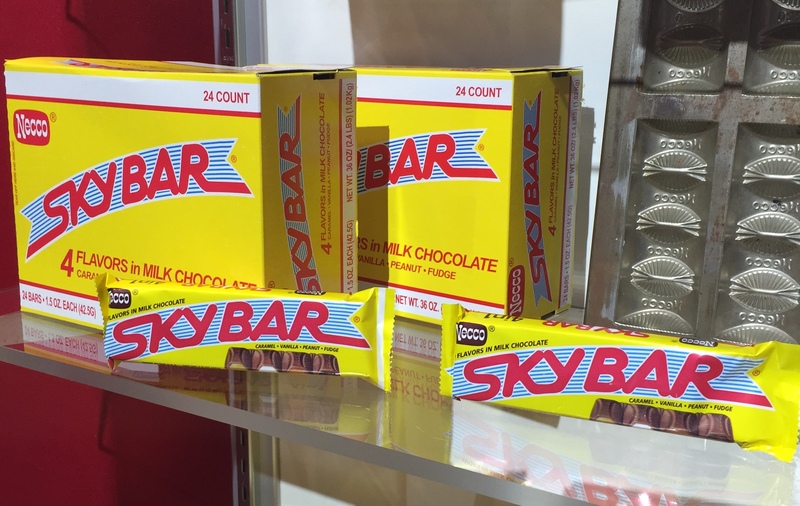 The original bar contains three layers of strawberry, chocolate and vanilla.